The other day I gave Noah some mixed veggie with his dinner. The bowl was still sitting on the table with my serving left in it. 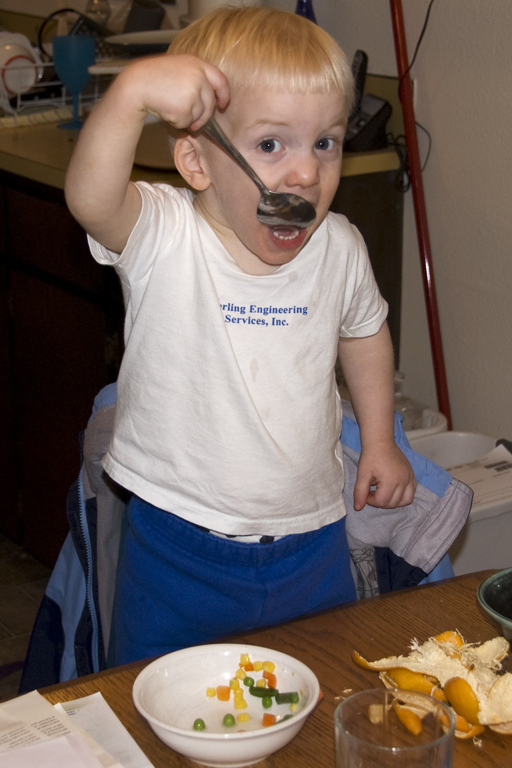 A few minutes after I let him down I came back to find him eating mine... with a serving size spoon! That is fantastic, not only is he eating his own veggies but devouring yours. That is a classic Dad moment. Now, how can I tick my three year old in to doing that?